ER Editor: Related to the same topic, we also recommend this article by Fred Reed titled The White Man’s Burden and Identity Politics = White Genocide by Paul Craig Roberts. The Western world is at its apex and is beginning to slowly disintegrate. This is also the case for its academia, where the search for knowledge has been replaced by conformity to the ideas of egalitarianism. The damage done to science is not visible to the full extent yet, but it will eventually ruin the reputation of the Western scientific standards. One of Thomas Aquinas’s most important contributions to our civilization was the separation of knowledge about the natural world from faith; of science from theology. Stating that true knowledge cannot be attained by religious contemplation, he also liberated scientific inquiry from moral judgement. Admittedly, during the following years and centuries there were still disputes between philosophers and scientists on the one hand and theologians on the other. The most notorious one played out at the beginning of the 17th century when Galileo Galilei, an Italian astronomer, made an attempt to ropagate the Copernican view that the earth revolved around the sun rather than the other way about, as a result of which he had to stand trial and was forced to recant. This event has been adduced on and on to prove that the Church’s attitude to science has been for the most time hostile. Something similar repeated itself two centuries later when Charles Darwin posited his evolution theory in his “On the Origin of Species” and “Descent of Man”. The Church did not want Darwin’s ideas to be taught at schools because they denied creationism. Despite that opposition, Darwin was able to publish his works in the middle of the 19th century in an otherwise profoundly religious Europe. During the 20th century Europe eventually rid itself of the constraints imposed on scientific research by religion only to have them imposed again, this time by the ideology of political correctness. As if Thomas Aquinas never had existed, scientists are more restricted than ever. 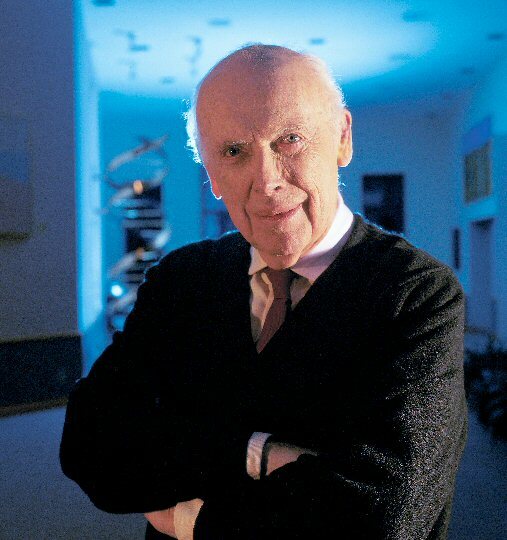 James Watson was not expelled from the scientific community because his observations were blatantly wrong or because he committed plagiarism. What he did was to challenge the present-day religion of egalitarianism by expressing a cautious doubt whether black Africans are on the same mental level as other human races. That was enough. The differences in the development between Europe, Asia and Africa are there for everybody plain to see. While for centuries Europeans and peoples of Asia were busy building bridges, castles and temples, there is nothing even remotely similar to these feats in sub-Saharan Africa. Blacks living in Western societies are doing worse than other non-European communities. Also the difference in cognitive ability is pronounced, so we may only wonder why? It is one thing to argue about the causes, quite another to deny the existence of the differences. If Charles Darwin’s hypothesis had been treated by his contemporaries like James Watson’s words are by the latter’s contemporaries, the evolution theory would have been but a blob in the history of science. Neither Galileo Galilei’s nor James Watson’s accusers are interested in evidence, reasoning or logic: they pass judgement on the scientific data from an unscientific point of view. 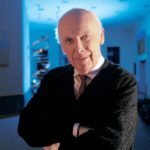 Since James Watson crossed the boundaries of what is allowed to be thought, he was declared persona non grata in and by academia. The pseudo scientists from Cold Spring Harbor Laboratory deemed Watson’s observations to be false because they are regarded as morally reprehensible. Obviously, they think the real world will conform to their dictates and their egalitarian beliefs. Eight centuries ago Thomas Aquinas came to the understanding that such an approach to science would prevent us from acquiring knowledge. The Cold Spring Harbor Laboratory team not only threw Professor Watson under the bus, but they also broke with an 800-year-old scientific standards of ideologically unrestrained objective research. The downfall of Western academia is inevitable.